There are two really large genres in photography; one of which is the landscape (an investigation of where) and the other portraiture (an investigation of who). 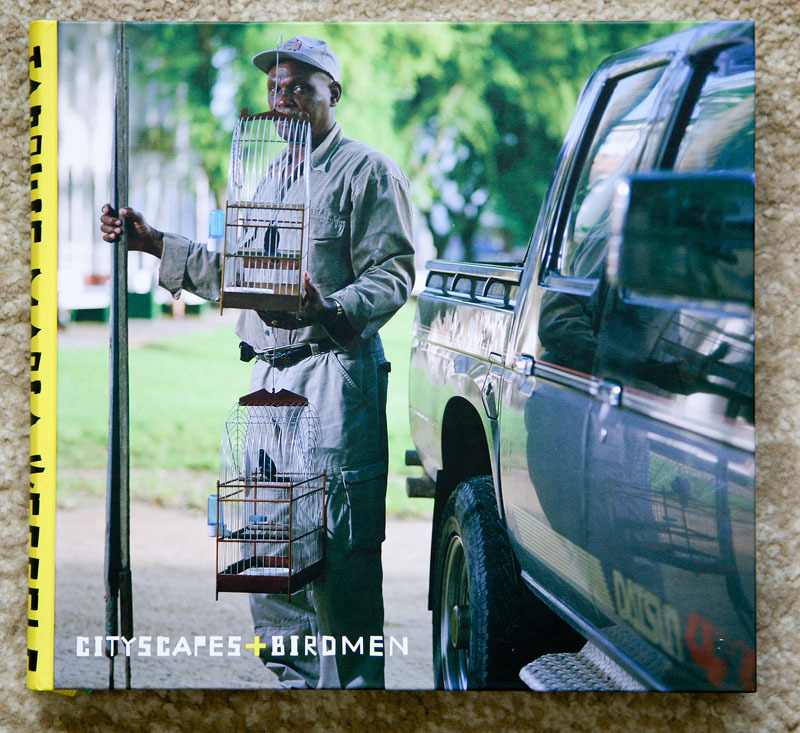 Of growing interest to me is where these two intersect, which is the case in both title and content of Jacquie Maria Wessels photobook Cityscapes & Birdman. Her book is akin to an interactive media as both inform the other and thus collectively creates a layered investigation about personal identity. Wessels subject are the men of Republic of Suriname as well as the many Suriname men who emigrated to The Netherlands. Her subjects are obsessed with a weekly songbird contest which is conducted on every Sunday morning. The portraits of her subjects, made in the Republic of Suriname and The Netherlands, vary in pose and composition provides a sense of diversity as to who these men are. The tightly framed urban landscape photographs provide an external context of her subject’s home environment situated on the northern coast of South America. 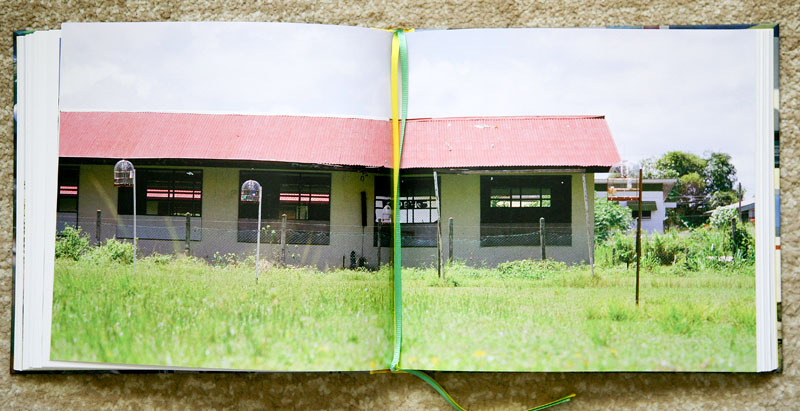 Wessel’s is drawn to the colorful folk-art advertising on the storefronts and commercial buildings of Suriname, with the inclusive text frequently a mix of English and Dutch. 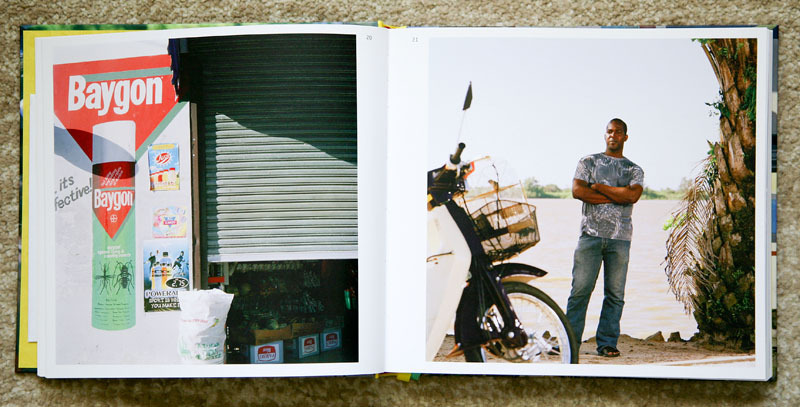 Wessels has sequenced similar built-landscape compositions on facing pages, but slightly off-set from each other, which provides the reader with a sense of looking off to your side while walking down the street. I find this photobook a delightful intersection of landscape and portraiture and a similar narrative to Amy Stein and Stacy Mehrfar’s photobook Tall Poppy Syndrome. The interior photographs are printed on matte paper, each bordered by a small white margin of this image-wrap hardcover book. The binding allows the interior pages to be easily open and the book is a nice reading experience. The image captions are provided with thumb-nail photographs in the “Legends” section at the end of the book. Essays are provided by Michiel Van Kempen with the text provided in both English and Dutch.